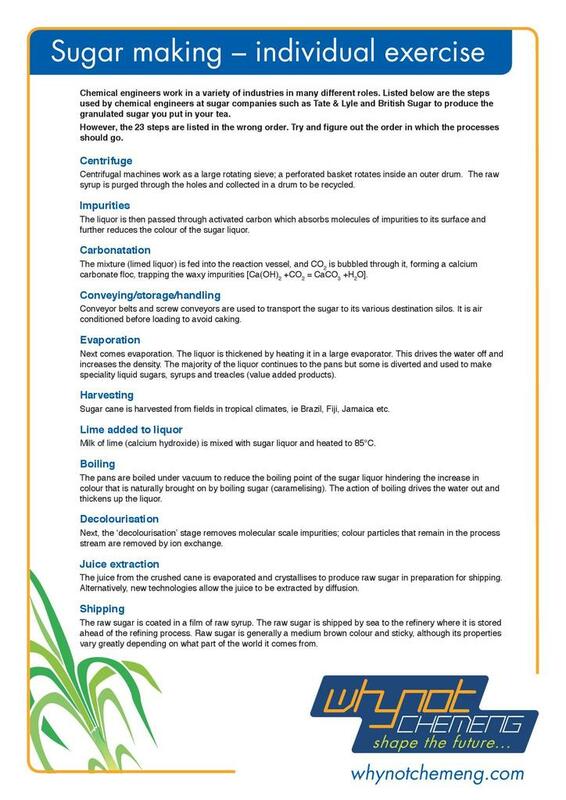 This resource was produced to get students working in teams and understanding the scientific and industrial processes involved in sugar making. 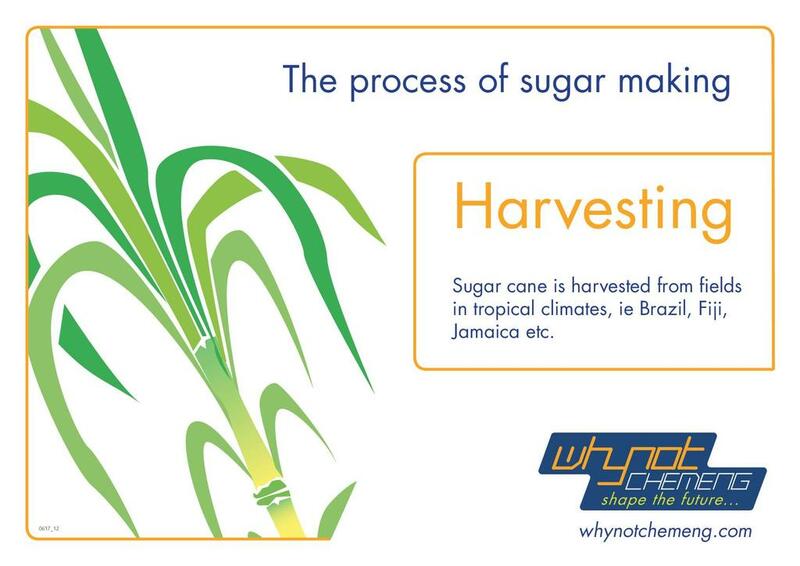 The resource consists of 23 cards detailing each step of the sugar making process, which students are asked to arrange in the correct order to go from harvesting the sugar cane, to transporting the finished product to the supermarket. 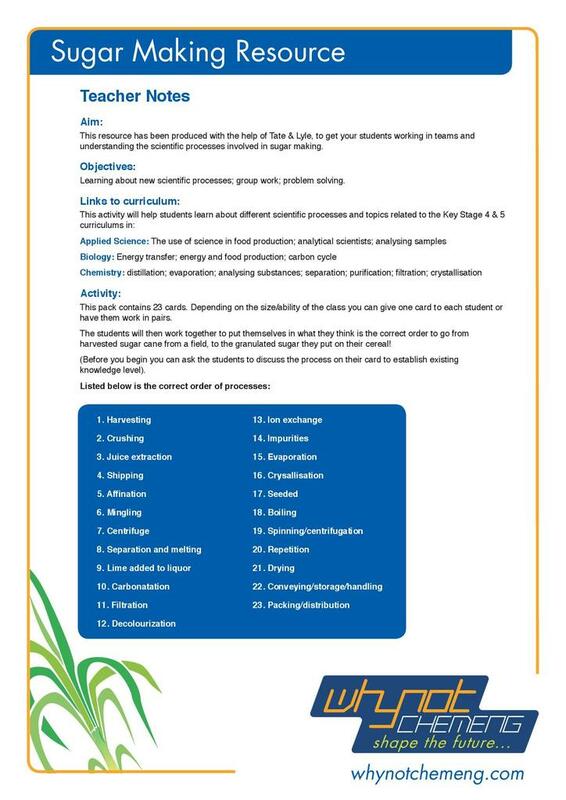 This activity can be used in many different ways and links in to the Key Stage Four and Five applied science, biology and chemistry curriculum. It also aims to develop students' problem solving and group work abilities. This resource was produced by whynotchemeng and the Institute of Chemical Engineers.